Here in the FAULT NYC office, we’re very excited to attend the launch at the much talked about National Sawdust. 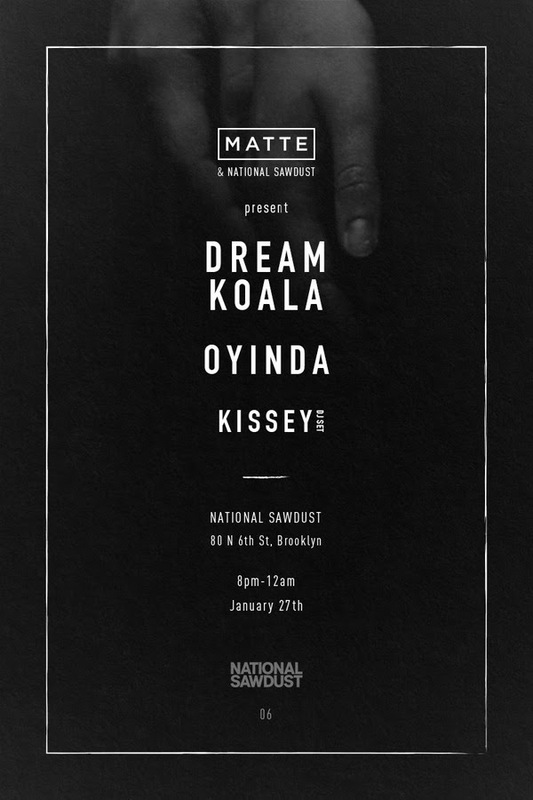 Presented by MATTE Projects the night will be hosted by the likes of British-Nigerian electronic R&B artist and producer, Oyinda. If you haven’t heard of Oyinda, you will soon! We’d suggest checking out her music video for track ‘The Devil’s gonna keep me’ below. The haunting video is devilishly FAULT! Sharing the stage will be musicians Dream Koala and Kissey. For more info head to the link here.